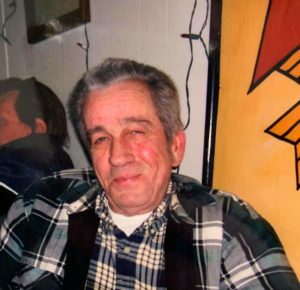 Lyndall Howard Sutton, 74, of Beason, passed away March 25, 2019 at his home. Visitation will be Saturday, March 30, 2019 from 10 AM until 12 Noon at Holland Barry & Bennett Funeral Home. Funeral services will follow at 12 Noon. Burial will be in Keyes Cemetery, Beason. Lyndall was born February 22, 1945 in Mountainview, Arkansas, the son of James E. Sutton and Rosielea Collins. He married Patricia Snearly on March 6, 1965. She preceded him in death on July 24, 2014. He was employed at Mt. Pulaski Products for 47 years. He was raised working in the timber and farming . 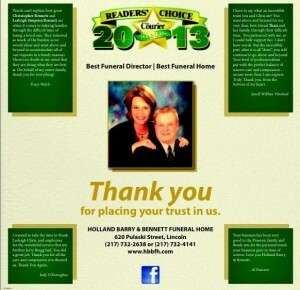 Lyndall was a member of Lincoln Church of Christ. He enjoyed hunting, fishing, and was a great basketball player during his high school career. Surviving are his son James Howard Sutton (Rachel Askew), fiancé Alice Alwood, grandchildren: Courtney (TJ) Wilde, Kandis DeVore, Noura Sutton, and Evan Sutton; great granddaughter Kinley Wilde; siblings: Maleta Marjeta Brown, Jerry Dean Sutton, Roberta Mae Branscum, Edward Sutton Jr., and Dorothy Belle Craig; also surviving are several nieces, nephews, cousins and friends and his canine companion Gracie. He was preceded in death by his parents, wife, son Darren Sutton, and siblings JW Sutton and Frances Barham. Memorial donations may be made to the American Cancer Society and will be available at the funeral home.